As mobile devices continue to rapidly grow in popularity, any website that has not been designed for a mobile user is likely to lose out on a lot of potential traffic. Optimizing your site for mobile users can improve your website performance and help you to achieve your goals, but there may be features that you might not have thought of when optimizing for mobile. Let’s have a look at some key features of mobile optimization and what you should be doing to your site to modernize it. You will probably need a simpler menu structure and larger buttons to make the site easier for mobile visitors to use. Conduct a site review of where you are now and isolate any features that you foresee will not transcribe into an effective user experience across mobile devices. Get to know your audience and be aware of what they are looking for. Find out how they will want to navigate your site. Position your navigation menu below the content if your targeted mobile users want to see changing content quickly. The content and headline needs to be visible first to not get in the way of viewing the page content. Long paragraphs and chunky sections of text can be difficult to read on a mobile screen and all that scrolling can get annoying for a reader – to the point where he or she might abandon the content altogether. Make your paragraphs shorter so mobile users do not have to scroll too much. Keep your design to one text column so users do not have to worry about horizontal scrolling. If you’re working off a content management system like WordPress you can choose a fully responsive theme. 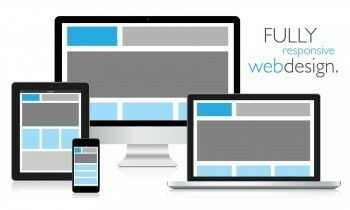 Responsive themes make use of web fonts, CSS3 and HTML5 and ensure that your site looks as good on a computer on any browser as they do on smart phones and tablets.